LT, V6 Traverse with quad bucket seats, heated seats, 7 passenger seating, 20 inch alloy wheels, CD player, power seats, rear camera, remote start, style and technology packages, and more! Off-lease vehicle with perfect "well maintained" CarFax! Sharp vehicle! 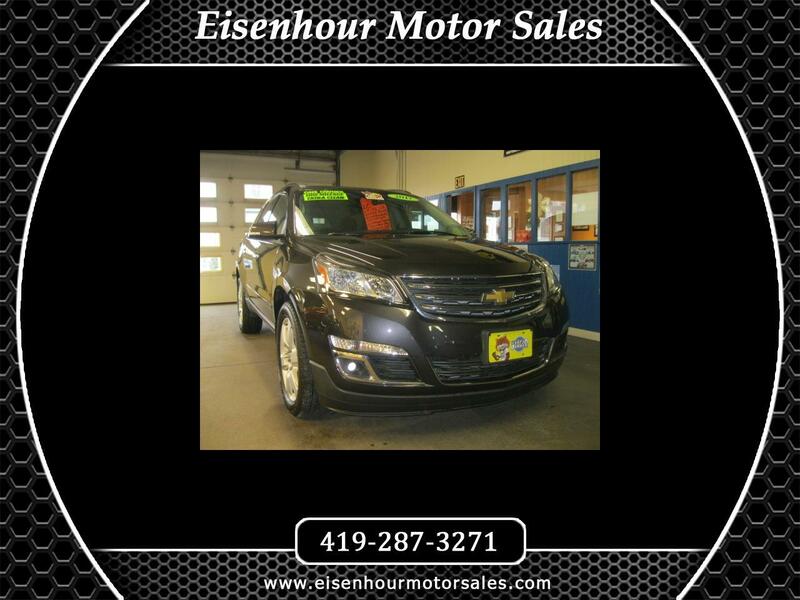 Visit Eisenhour Motor Sales online at www.eisenhourmotorsales.com to see more pictures of this vehicle or call us at 419-287-3271 today to schedule your test drive.